Business games – the best solution! You can entertain and learn now at the same time. Learn the basics of business, develop managerial skills, communicate, play: business games – an excellent solution! In today's world, multi-user business simulators are one of the most popular entertainment options for intellectuals. Business games of such a plan allow you to get vivid emotions, feel excitement, take your mind off routine and at the same time in a playful form master the skills of building and managing your own business. Business simulators are made not just to play, but to think, predict, analyze. Business simulators have long been gaining popularity. Let's remember, at least, everyone's favorite board game – “monopoly”. Even such a simple version of the business simulator still has its own small audience. And modern computer technologies and opportunities have brought the game business to a new level. 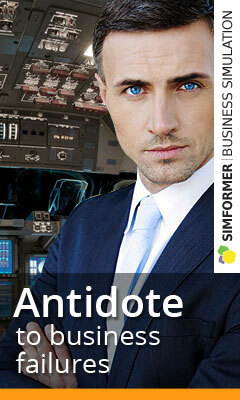 One of the main areas of application of modern business simulators is training. Such games are aimed at developing entrepreneurial qualities and managerial skills, allowing in a playable, understandable form to comprehend the subtleties of the modern economy. Many economic schools send their students to hone the skills of a systems approach and optimize business processes precisely in business simulators. The advantage of modern on-line business simulators is a living environment where your rivals are people. Playing, you learn to interact and solve real situations, easily navigate and get out the winner, gaining invaluable experience. Modern business simulators are constantly evolving, providing new opportunities. 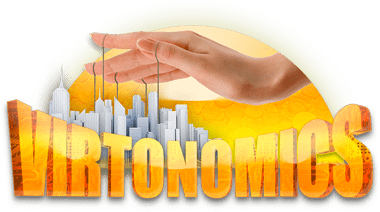 Now the most popular business simulator, played by more than 900 thousand people, is Virtonomics – the best economic online strategy and training platform. This game is popular all over the world and has already been translated into English, Spanish and Chinese. The uniqueness of Virtonomics in its versatility. You can build your business in any of dozens of branches of modern economy. Do you want, it will be a factory for the production of something, a chain of shops or a laboratory, you can buy mines, deal with currency transactions, etc. The main goal is to build a profitable, efficient business in a competitive environment. To play on-line, business simulators is the entertainment of intellects, which allows you to learn the basics of business and develop managerial skills.